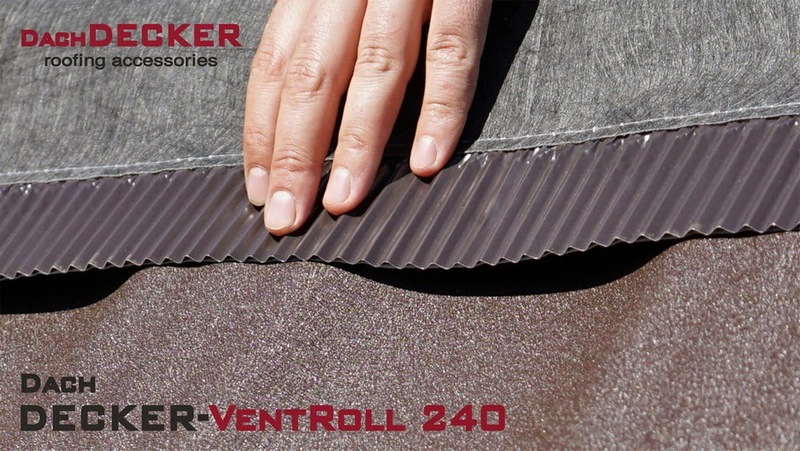 A high quality rollable ridge vent DECKER-VentRoll 240 intended for roofs covered with metal sheet tiles. A technologically advanced technical fabric reinforced with aluminium strips offers high durability and utility parametres. 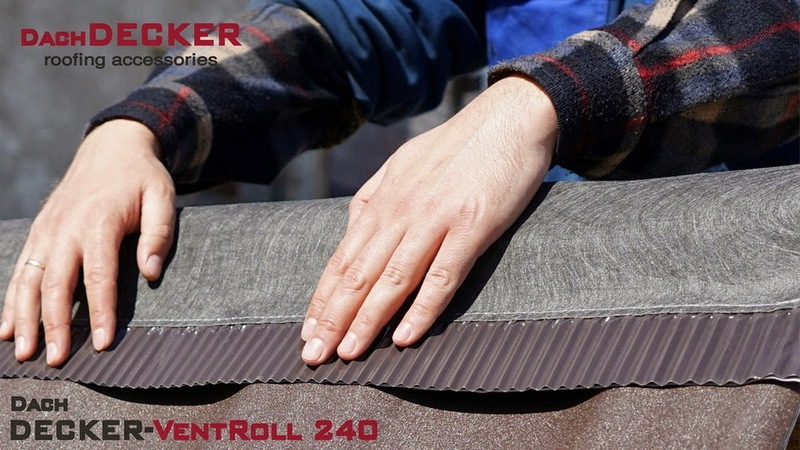 A high quality rollable ridge vent DECKER-VentRoll 240 intended for roofs covered with metal sheet tiles. A technologically advanced technical fabric reinforced with aluminium strips offers high durability and utility parametres. It guarantees very good ventilation, and protects ridges and hips againts water, snow and dust. Air permeability (at 200 kPa): 380cm3/cm2/s. 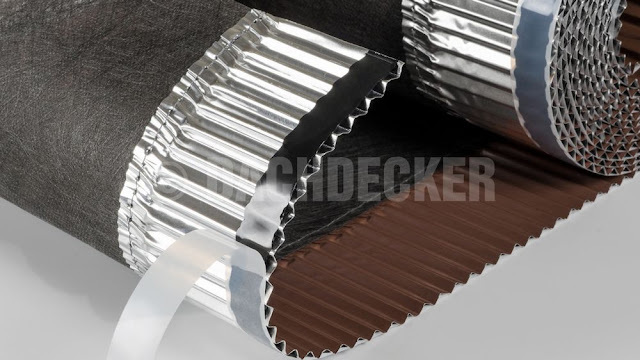 Two strips of 0.14 mm thick and 70 mm wide corrugated aluminium, glued and sewn to a technical fabric together with threads resistant to environmental factors; butyl glue strips applied to the edges on the bottom side.